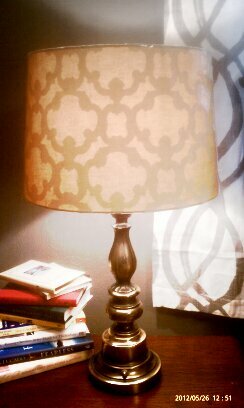 LOVE the lamps I picked up at Goodwill for the bedroom redo. I had every intention to paint them a bright yellow or orange or turquoise. But I got them home and paired them with these lovely lampshades from Target and I think I may like them they way they are...brass (gasp!). What do you think? Paint or not? i love them how they are, but i'm also a huge fan of the unexpected.. so the other half of me says " PAINT 'EM! "